Messy folders? Do this ! I'm here to guide you through the tutorial of create a batch file that will clean and sort any folder. 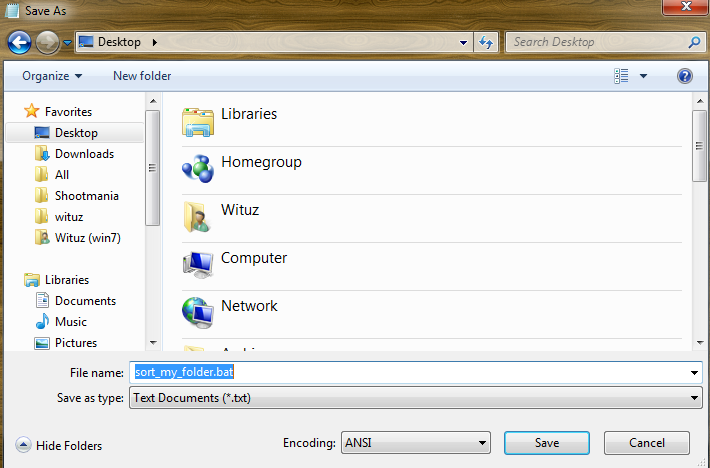 Start off by creating a new text file. Open it up. So now we have createed the folders. 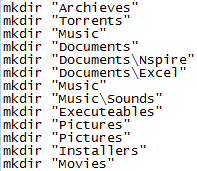 The next step is to sort the file extensions into a folder. You do that by using the code below. 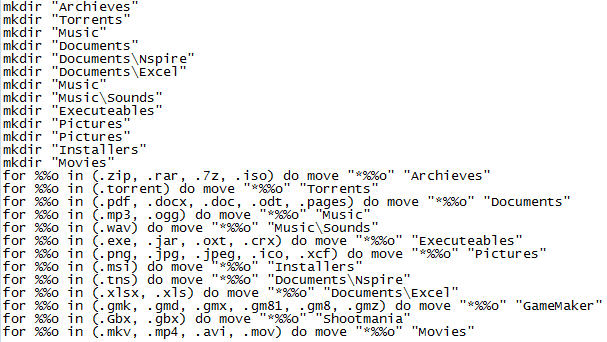 This will move all .zip, .rar, .7z and .iso files to the Achieves folder. Personalize your batch file so it fits you - this will give you the most benefits out of it. Remember to save your file with .bat extension, or else you will not be able to execute the file. Run your batch, magic will happen !